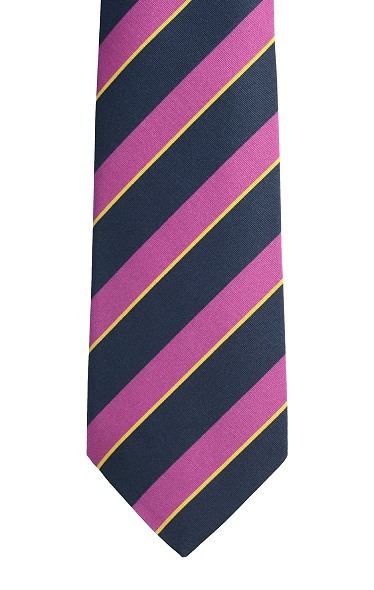 An eye catching dark pink, navy blue and yellow Atkinson Irish Poplin Tie with varying broad and narrow stripes in a matt finish. This striking necktie with it's bright colours, is just the accessory to compliment a navy blazer or jacket. Milled and stitched in the UK this neckwear is both durable and stylish which is synonymous with the Atkinson brand. A distinctive navy blue and apple green diagonal broad striped tie made by Atkinsons from Royal Irish Poplin.